You'd think, with all the Ferraris you see in Monaco and along the Cote d'Azur that people would ignore them. Not so. 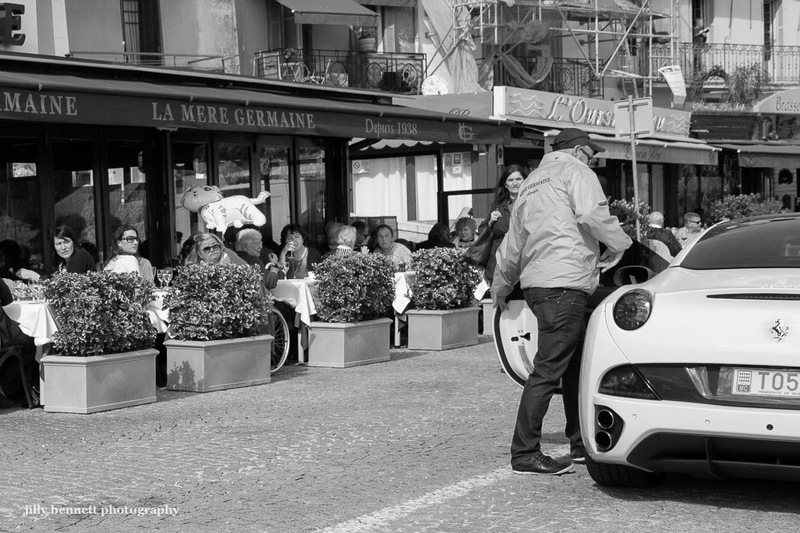 Everyone eating in the celebrated La Mere Germaine in Villefranche-Sur-Mer is intrigued by either the car or the driver. Combat Naval Fleuri - Mimosa Man! Combat Naval Fleuri - the Music! Combat Naval Fleuri - the Girls! Combat Naval Fleuri - Missed!